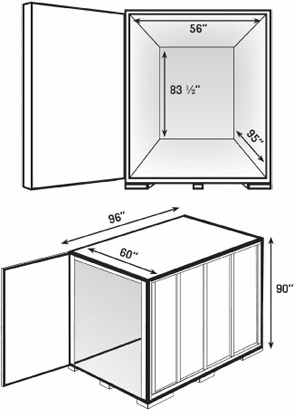 Use a U-Box shipping container as a revolutionary solution to your moving and storage needs. 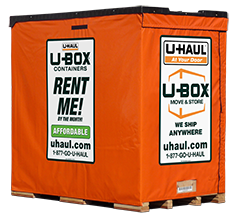 Load your items into the container wherever you need to, whether that is at your home, place of business or at a U-Haul location. You then have the option to have it shipped to your new destination or have it stored on site or on your property. Nationwide Movers - People moving city to city, who are limited in space for a full moving truck. Pair with Moving Helpers for a fast, efficient move. International/Long Distance movers – People moving overseas and/or long distance. Keep all of your belongings in one place and safely ship them to your new home. We also offer inter-island moves for Hawaii and shipping to Alaska. College students – Students who are moving to or from college. Use a U-Box container as a way to ship college essentials to the dormitories or store in-between semesters. Business owners – Businesses who need portable storage. Store excess files during the work year or as temporary on-site storage. Home renovators – Home owners who need additional space outside their home. Keep the container on-site or let us store it in a safe location.